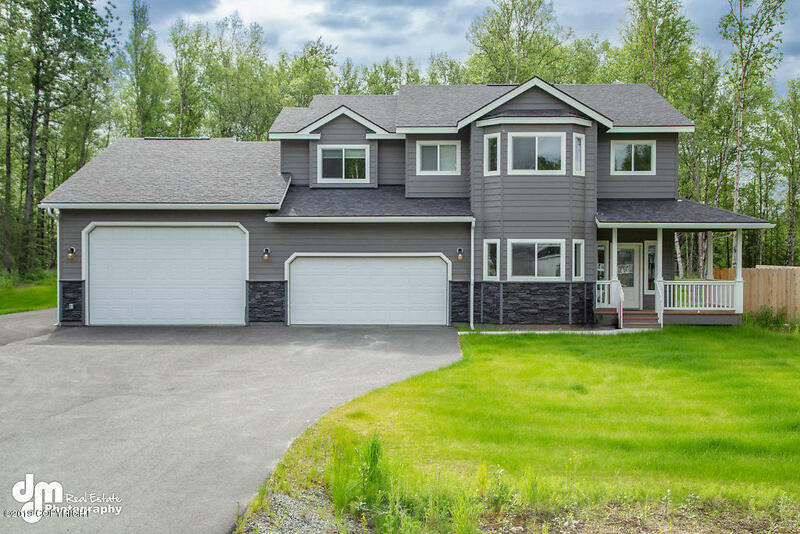 4885 N Feldspar Circle, Wasilla, AK.| MLS# 19-242 | Mossy Oak Properties | 907-357-5100 | Wasilla AK Homes "For Sale" Alaska Businesses "For Sale"
Incredible Luxury Home in Stone Creek. The list of features are almost endless. Featuring Large bedrooms, a media room, family room, and living room with Stone FP. Includes Vinyl Plank flooring throughout the entire home. The master bath has a tile walk in shower, dbl sinks, and a WIC. Kitchen feature granite counters, upgraded cabinets, and stainless appliances. 5 Car Garage! RV Pad! Fencing!